As well as signing your will, in order for it to be valid, you need to sign your will in the presence of independent witnesses who also need to sign. You must have the mental capacity to make and understand your will at the time of writing and signing. If you have a serious illness such as a diagnosis of dementia, you can still make a will, but you need to have the mental capacity to make sure it is valid. Your solicitor should make sure of this, and you may need a medical practitioner’s statement at the time the will is signed, certifying that you understand what you are signing. You need to state that this will revokes all others. And if you do have an earlier version – needs to be destroyed. The will must be written voluntarily and without pressure from anyone else. 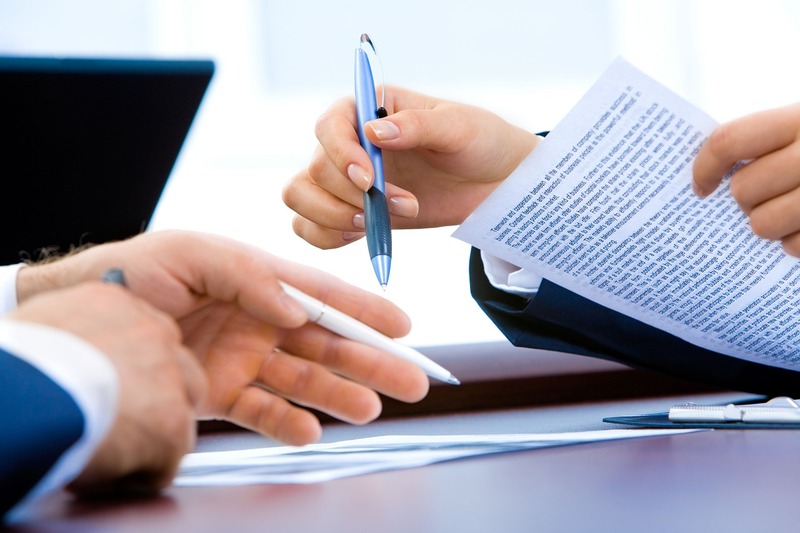 In England and Wales, your signature needs to be witnessed by two independent witnesses. Anyone can be a witness to the signing of a will, as long as they are over the age of 18, are not blind, or named as beneficiaries in your Will and are not married to anyone who is. Beneficiaries of the will should not be chosen to act as witnesses. If they do, they lose their right to the inheritance. In fact, beneficiaries should not even be present in the room when the will is signed. It is also recommended not to ask an executor to act as a witness. The page that you and your witnesses sign (the attestation page) is at the back of the will. All three people should be in the room together when each one signs. Gather together in one place and include a formal statement in your will that you have gathered them to witness the signing of your will. They do not have to read the will or know its contents – they are only required to witness your signature. If you are physically unable to sign the will, it can be signed on your behalf, provided you are in the room and you witness it being signed on your behalf. In addition, you must contain a clause saying you understood the contents of the will before it was signed. If you do not have the mental capacity to make the will on the other hand, as already mentioned, it is invalid. If you make any amendments to the main body of the will, these will need to be signed by you and two witnesses again. Are wills made online legal? In theory, as long as your will complies with UK laws regarding valid wills, an online will carries the same legal weight as one created by a lawyer. More information on how to write a will and your options for creating one, are outlined in our blog post on what’s involved. In order for your Will to be legally binding your signature must be witnessed by two appropriate, independent witnesses. Often life events such as marriage, new children or grandchildren prompt people to write their Will. Importantly, any life event should prompt you to review your Will. A new marriage invalidates any existing Will. For example someone who lives overseas, is under 18, or does not want the responsibility. Should you want to exclude someone who has a legal claim to your estate, you need to make sure you have done so properly. You need to leave a letter with your Will stating who you are excluding and your reasons why. Should the person concerned contest your Will, this letter will be passed to the judge who will decide if they have a legitimate claim. Financial commitments such as mortgages can amount to a significant proportion of your estate. It is therefore recommended to leave bequests as percentages of the estate rather than a specific sum. For parents with young children, one of the most important reasons to make a Will is to name the people that you would like to care for your children should you die. Don’t forget about the children! Wills follow some general rules of what you say and how you say it. Should you not follow these rules, it could mean that your instructions won’t be followed or even that your Will is invalid. You will have died intestate. To ensure your language is not ambiguous, your intentions are clear and your will is valid, it is best to seek professional advice. The most common reason a gift will fail is if your beneficiary predeceases you. Be clear in what you would like to happen in such circumstances by including a ‘gift over clause’. For example, if someone has died you might wish their share to go to their children. If you do not make provisions, failed gifts fall back into your residual estate to the benefit of your residual beneficiaries. Believe it or not, some people do forget about assets. And any assets not included in your Will will be dealt with in accordance with the laws of intestacy and could be liable for inheritance tax. Some mistakes can entirely invalidate a Will or lead to the wishes of the deceased being misinterpreted, ignored or disputed. It may seem as simple as scribbling down your wishes and signing them off, but if your estate is more complex than simply wanting to give your savings to your children – and the majority of people’s wills are – there are many more factors to be aware of. The importance of having a correctly put together will cannot be overexpressed. And as such, advice on making a will in the UK is broad and far-reaching. So we’ve narrowed this down to target ten of the most common mistakes in wills. People up and down the country make these mistakes every year, so be aware of the issues you may face and you’ll be able to ensure that you have an accurate and valid will when you die. You need two witnesses to ensure that your signed will is valid. They need to be physically present in the room when the will is signed, and both witnesses need to be there at the same time. Having enough witnesses may sound obvious, but it’s very important – even the smallest actions can have major consequences. For instance, if one of the witnesses sign the will separately, the entire will could be invalid. Already more specific than anticipated? Choosing the right people to witness the signing of your will is equally as important as having enough people to do so. The witnesses must be entirely independent, meaning that they won’t benefit from the will and they need to both be over 18. It’s crucial that the witnesses are independent. If they are beneficiaries, your will could be made invalid as it would be reasonable to claim that you were under pressure to sign the will. A particularly good suggestion of someone to witness the signing of your will is your GP. Your doctor is unlikely to be a beneficiary, and as well as that, they can later be relied on to refute claims that you were not of sound mind when signing the document if necessary. When looking into the ins and outs of producing a valid will it’s useful to remember that when you are no longer here, all next of kin and others close to you will be left to accept the outcome of your will alone. If there is any ambiguity or room for disputes to take place, you won’t be able to clear them up. And this is why your will needs to be spot on. Number 3: Where is the original? When you die, your original will is required to administer your estate. A photocopy won’t do. In fact, without the original, it can be almost impossible for your executors to obtain a grant of probate, making it impossible to have your wishes fulfilled. Of course, requiring access to the original will means that the security of the document is of utmost importance. There are plenty of will storage options available out there, but here at IMC, we have our own storage facility. Working with us can help you rest easy knowing that your will is in safe hands. Number 4: Who is responsible? Forgetting to name an executor is an easy mistake to make, but it can be a very costly one. You will need to choose an executor to deal with the administration of your estate in accordance with your will. If you don’t name one, the probate court will choose an executor who you may not have chosen. Unlike witnesses, there are no real restrictions as to who you appoint as executor, they just have to be aged over 18. Once you have written your will, it’s also important to remember to update and renew it when and if any circumstances change. For example upon getting married or having children, or perhaps having lost loved ones who you had wanted to leave assets to. Unfortunately, you cannot simply scribble a note down on the document when you make a change – you will have to do it officially. Any changes to your will have to be signed and witnessed just like the original. If you wish to make particularly big changes to the will, you may be better off writing an entirely new one. It’s important to never make assumptions. 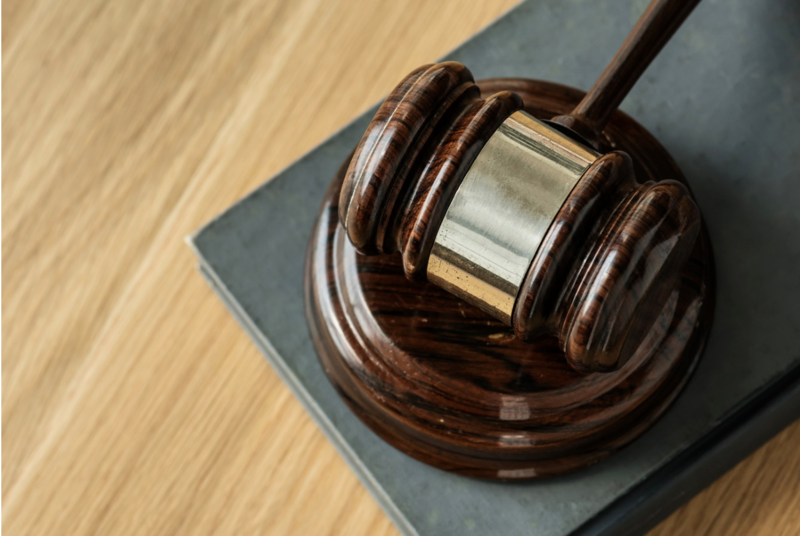 One of the most common traps people fall into when writing their will is the assumption that there are legal grounds for automatically qualifying as a beneficiary as a ‘common law spouse’. Many believe that, if they have been in a relationship for and lived with their partner long enough, they will be treated as a spouse in the eyes of the law. That is not the case and the process for dying intestate will be followed. If you are unmarried, your partner will receive nothing unless named in the will. The same goes for any step-children you may have. While you may be married to their parent, the law of intestacy will not provide your step-children with any part of your estate. In contrast, although also not biologically your own, the state views adopted children as yours and they will be viewed as such if you are to die intestate. This does not extend to foster children. You should also remember not to assume that you will be the first to die in your family. Always be sure to make provisions and ensure that all bases are covered so that your family are provided for. You should also make your wishes clear when it comes to a gift falling through. If, for instance, a relative you would like to leave money to dies and you would like it to go to their children, ensure it’s clear. If you do not, it will just be put back into your estate. While it is important to make your wishes explicit in your will, at times it can be just as important to not be overly specific. If assets may change between your writing of the will and your death, you may leave room for somebody to contest your will if your wishes are too explicit. For instance, if you wish to leave your eldest child your car but refer to it specifically as ‘my Vauxhall Astra’ but die while owning a Renault Clio, the gift would be considered invalid if the will was contested. When leaving assets that may change to your will’s beneficiaries, you should instead be far broader. Use phrases like ‘my car’ or ‘my watch’ over ‘my Audi A5’ or ‘my Rolex Submariner’. If you would like to leave a specific asset, be sure to update your will whenever those assets change to avoid any complications. We’ve covered the reasons why writing a will on your own can be damaging to its validity in other posts but it is worth summarising here. Ultimately, wills are important – often very complex – legal documents that need to be 100% accurate, this level of accuracy is very difficult to achieve without professional knowledge. The death of a loved one is a stressful enough time for a family without an imperfect will causing the deceased’s wishes to remain unfulfilled. Writing a will without professional assistance is never advisable. Dying without a will can land you in a very bad situation. It’s important to remember that unless you’re intending on leaving your estate to your spouse alone and/or have a very simple estate, dying without a will can cause a lot of trouble. You will have no control over how your estate is split up and you – and anyone else for that matter – won’t be able to make any last minute changes once you’ve gone. Making these mistakes is far too easy when you write your own will. Contact the friendly IMC team today for a professional will writing service that guarantees your wishes will be met. Our skilled advisors are available to provide a will writing service by supporting you sensitively through the process of making a Will. Contact the IMC team for information on how you can plan for your family’s future through our wills and estate planning service.